Click the button below to add the NEW Super Sparkly Glitters to your wish list. 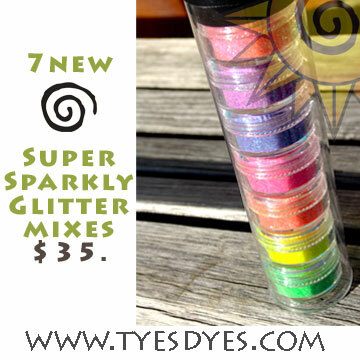 7 Super Sparkly Glitter mixes by Tye's Dyes. These Sparkly Glitters are NOT pre-mixed with acrylic. They can be used for acrylic nails or gel nails.